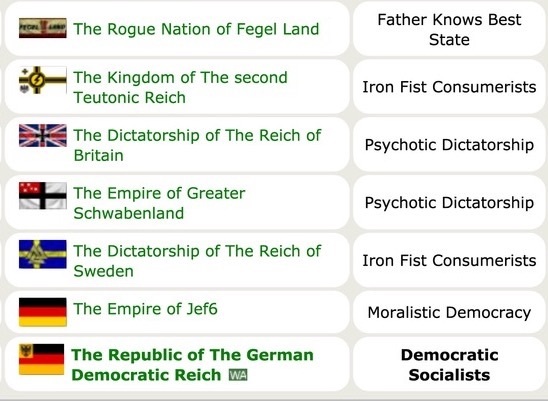 The Reichtangle of Neuschwabenland is a region with many diverse nations, wether it be politically or culturally. From the antic filled minefields of Fegelland to the rolling brown hills of Jef6, to the Golden Eagles perched in the German Democratic Reich to the cold snow of the Greater Schwabenland. The Reichtangle of Neuschwabenland will forever work together, no matter how harsh it gets. 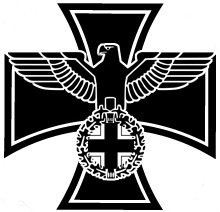 We are a region of dedicated people, workers, nations and armies working for the idea of a greater Reich. The Reichtangle of Neuschwabenland was founded The German Democratic Reich to secure alliances, and help new nations grow into superpowers. And now we are building our way to the top.